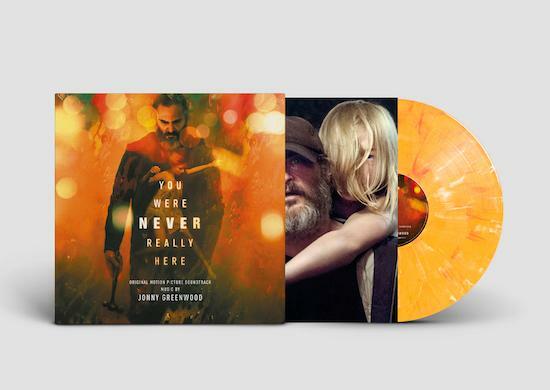 Jonny Greenwood's score for Lynne Ramsey's latest film You Were Never Really Here will be released on vinyl next month by the Lakeshore and Invada labels. The album was released digitally back in March coinciding with the release of the film, which follows the story of a former FBI agent who embarks on a mission to rescue a missing teenage girl. You can hear the score above which follows on from previous soundtrack work by Greenwood of films such as There Will Be Blood and We Need To Talk About Kevin, which was also directed by Lynne Ramsey. Ahead of the release of the LP, which is due in late June in a 180g black vinyl edition as well as an amber 'marble effect' edition, we have four copies to give away to four lucky winners. In order to enter the competition and be in with a chance of winning, you just have to send the correct answer to the question below to comps@thequietus.com before the closing date of midday next Wednesday (May 16). Good luck! For which film score was Jonny Greenwood nominated for a 2018 Academy Award?